Description: Opera Foods is a national Australian distributor of gourmet grocery products wholesale and also sell retail. We are introducing a new Pep Tea brand of organic matcha tea powder. 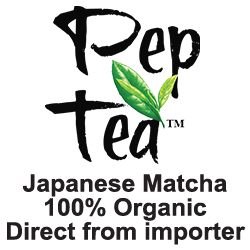 Pep Tea is our own brand and the product is imported direct from Japan. prepackaged in our labels. It is the real deal, high grade Japanese product from the famous Japanese tea gardens of southern Japan. Our Matcha tea is certified organic per the label by the Japanese ministry of Agriculture. Opera Foods are a long established Australian Food wholesale distributor that delivers nationally to; grocery retailers, delicatessens, and gourmet grocers. You will find our products in Gourmet Grocers, Harris Farm Markets , About Life stores and IGA stores also. Our wholefood products are all high quality, barcoded and true to ingredient labels.labels. Fierce Japanese samurai were known to drink Matcha Green Tea before a fight, due to the tea’s boost to their energy and endurance levels. They didnt drink the cheap stuff. Try true Organic Matcha. Best quality Matcha Green Tea at the best price in Australia. Buy certified organic Matcha direct from the Australia importer. Antioxidant EGCg, the most widely recognized for its cancer fighting properties, makes up 60% of the catechins in Matcha Green Tea. Buy organic pure Matcha.